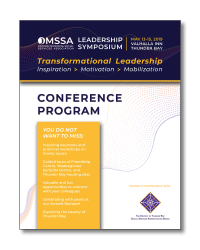 OMSSA is pleased to be hosting our 2019 Leadership Symposium and AGM in partnership with Thunder Bay DSSAB. Click the image to view the program as a PDF, or access our mobile program. Use the buttons below to find additional information on conference rates, travel, accommodation and more.